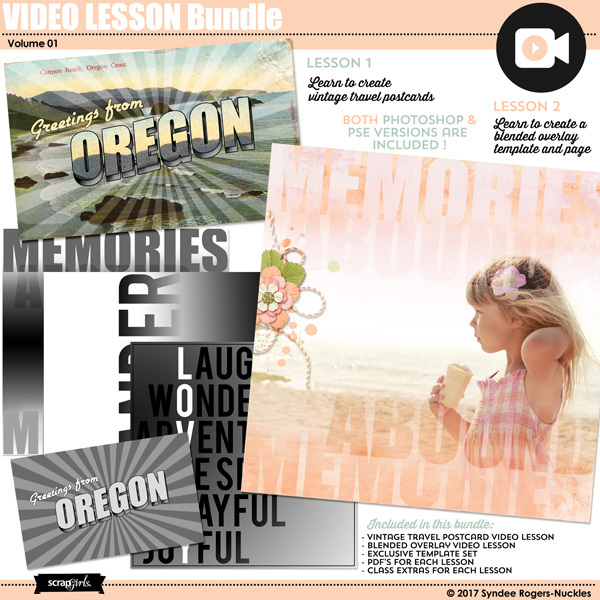 Create a vintage travel postcard and a blended overlay with this Video Lesson bundle! 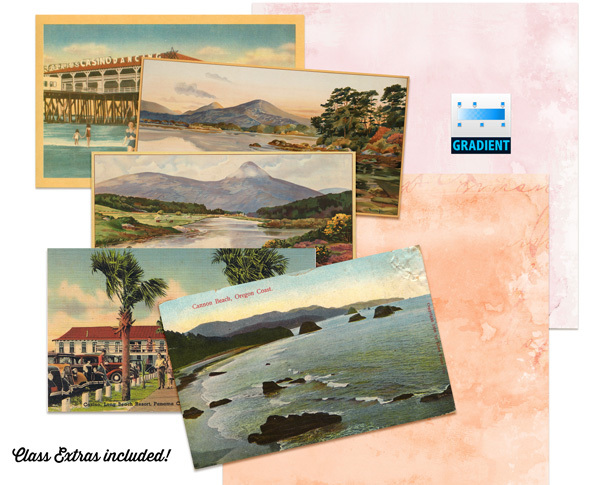 - Vintage Travel Postcard: Isn’t it funny how we now try to recreate the vintage look on just about everything? 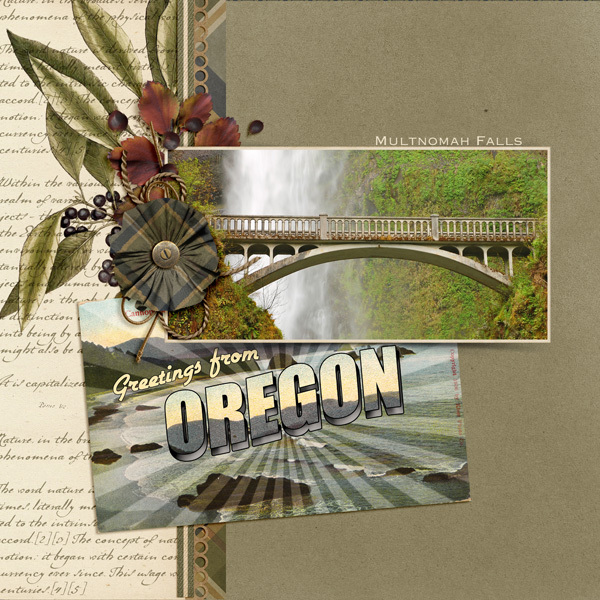 In this lesson we are going to do just that by creating a nostalgic travel postcard. - Blended Overlay Template: Learn a show-stopping blend mode technique that uses the Text and Gradient tools. You’ll end up with a soft and dreamy or artsy look template and page! Welcome to the Layouts Deconstructed Series! In this Video Workshop you will learn how to create 3 layoutsand how easy and fun it can be to design layouts with an artistic flair! This Workshop Kit includes the Video lesson PLUS the products used. Learn how to create a realistic stenicl effect and create fun flowers using the Liquify Filter with this Video Lesson bundle! Go back in time with this 50’s retro-themed bundle of goodies filled with kitschy embellishments, trendy threads and oh so retro papers! PLUS a FREE kit with purchase! 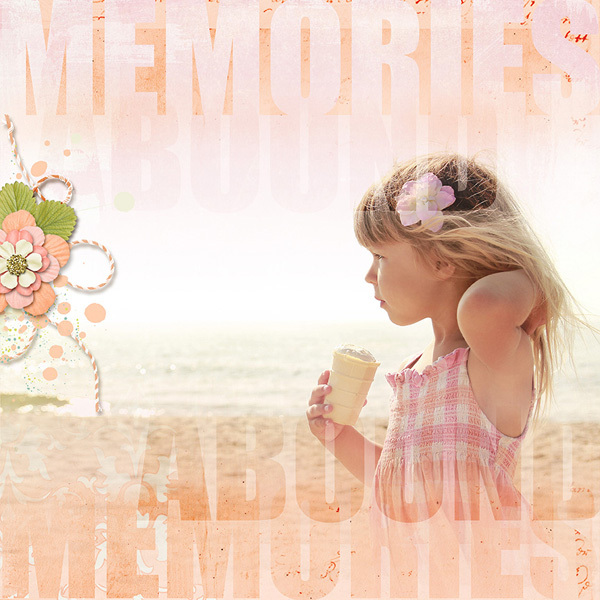 In lesson one we will create a whimsical camera using the Custom Shape tool and type tool, and in lesson two we will create a modern family tree! In Lesson One learn to create a bright and fun comic book page from scratch, and in Lesson Two Learn to add a comic halftone effect to photos and more! In this lesson learn how to Create a versatile photo mask brush from scratch.